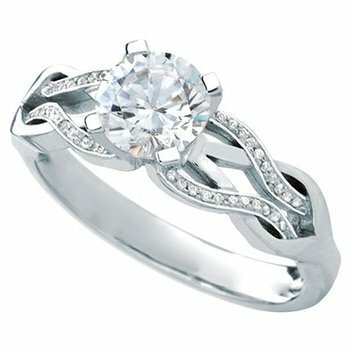 This beautiful 18k white gold semi mount engagement ring known as Noss ,a Scottish Island, is from our Maevona Collection. The semi mount has approximately .24cttw. A cz center is included.